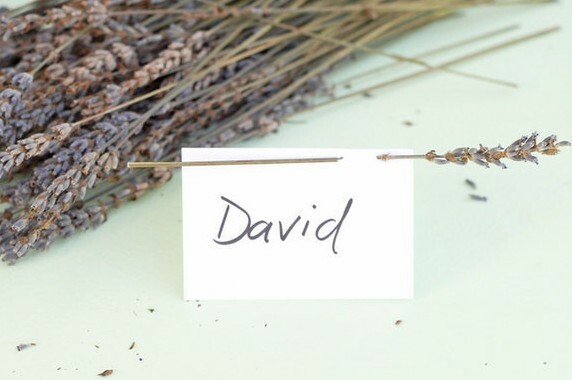 Cut out small holes at the top of your place cards and insert a lavender sprig in each card! Follow the tutorial on the source to create this idea. See this idea with the cards attached to vertical sprigs. See this idea with the card tied to a bunch of lavender flowers.